The 47 foot Trimaran, Southern Cross based in Nassau is offering a discount of 10% off any 7 day charter INCLUDING Christmas/New Years. Sleeps up to 8 guests in 4 cabins. Four Queen berths accessed from the cockpit, all with sink/vanity, two shared head/shower compartments. 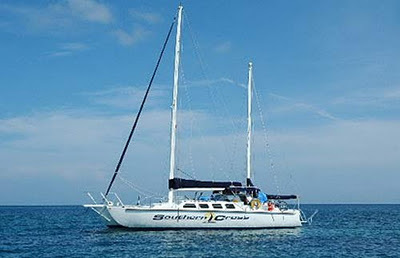 Click here for more photos and charter information.